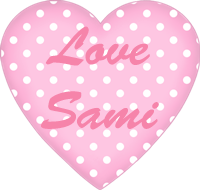 Love Sami: Will Finnikin reclaim his land? Finnikin of the Rock is brave, loyal and a true warrior. His beloved land of Lumatere is taken over by an imposter king and all who live outside the walls of his land are exiled and known as exiles. I decided to finally give this book a go because I've always loved the front cover and I am drawn to a lovely front cover. Also, because a friend of mine finished the last one in this series last year and raved about it. So, as with other books I may find difficult to get into by reading I thought I'd give it a go on Audiobook seen as though it was sitting there on the shelf at the library. This is one of those books that all fantasty lovers should read. It has such strong voices and characters along with a landscape filled with all sorts of sights and smells that seemed to jump off the page. Melina Marchetta worked her magic and took me by the hand into her marvelous world. I loved the idea of weaving different voices through out the book. 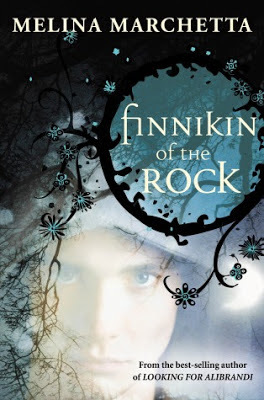 Finnikin's voice was the main one but every now and again we hear from a few different characters points of view, which I thought was clever and helped with the pace of the story. Something else I adored was the different languages used for each of the different places. As there weren't any different types of races of beings ie. dwarves or elves like in Lord of the rings, instead each place had their own native tongue. None of these languages were ever spoken (it was all in english) but I could still imagine what each of them may have sounded like. There were a few moments of tingling feelings of romance, which were all the more exciting because the pacing was so slow and I believed that maybe nothing would ever happen - spoiler alert! - it did. Yay! There's a twist towards the end, which I didn't see coming at all! We as readers were lead to believe something, along with Finnikin, and not once did I have any inkling of what was really the truth. I decided to give this only 4 stars instead of 5 because it took me a long while to get into the book and at times I found myself daydreaming, but mostly I loved this book and really recommend it. Looking forward to listening to number two and all other Melina Marchetta books I can get! This cover is so cool and I was always drawn to it. Blue is my favourite colour so I was drawn to it for that reason and I also like the flower and tree design.